What do you prefer: paper or plastic? Apparently, everyone thinks going green is the new cool. However, it is not so much about being green as knowing what we are doing, i.e., we cannot stop using plastic, fuel or any other renewable resource which is affecting the environment adversely, but we can do three things. 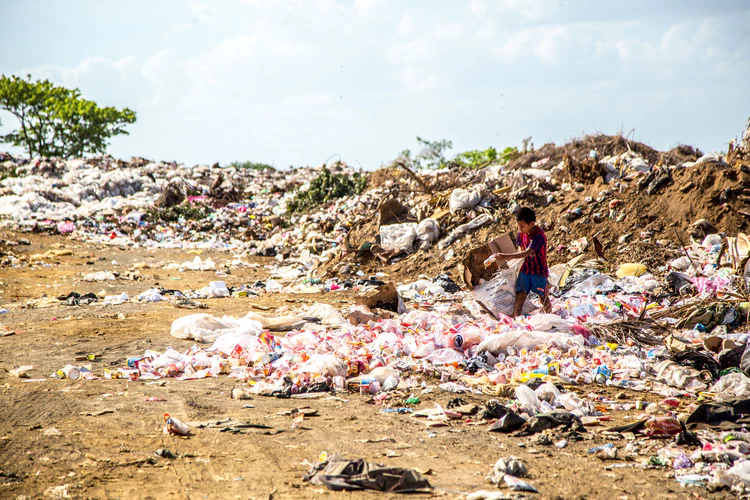 Large-scale production leads to massive waste production, making it a necessity to dispose of it carefully. People need to be aware of the consequences and motivated to avoid improper disposal. Deforestation is a major concern in the developing countries because, apart from generating tons of waste, such practices exhaust unbelievable amounts of fuel and reduce the ability of the environment to fight back. Due to limited land space, people tend to cut down the vegetation to build their company premises, but what they fail to understand is the toxicity that they are introducing in the environment. There are two options that everyone has: either don’t shed the shade or simply plant a garden in their premises. It is not an impossible task, rather a clever decision. They can design the structure in a way which offers space for vegetation, and this will make sure that their employees not only have fresh, clean air surrounding them, but also the company promotes the green approach. Starting with small steps is the right way to go about everything. Here we mean walking as well. You need to develop a work environment where your employees understand the negative consequences of over-using vehicles which burn fuel and cause pollution. You have to encourage them to walk when possible and use cycles or battery-operated vehicles when it is not. This will not only reduce the consumption of precious, yet limited fuel resources but will also reduce their carbon footprint notably. Digitization has made it possible to reduce the exploitation of paper in our daily lives. Typing is the new cool. Period! Not only is it more clear, but also has a positive impact on deforestation (to manufacture paper) and use (reducing waste generation). Although it is impossible to stop using paper or related products completely, we can always ensure near-negligible use. Tons and tons of paper are consumed every day around the world to print policies, documents, reports, and whatnot by different organizations, and all this can be digitized with a few efforts. All we need to think about is a cleaner environment in the future, and we are good to go. In moderate terms, waste management can be defined as the efficient disposal of the trash that we are producing every day. The policies that you employ in your organization should include waste management methods as well. These methods should be smooth and straightforward to practice to make sure that everyone can do it on the office premises as well as at their homes. The steps are pretty manageable – collect the trash, aim in the right bins (green or blue) and throw it carefully. If we, as literate individuals, understand the significance or disposing of waste in the right way, then only we can become an example for the ones who don’t understand it clearly. Yes, it is that simple! Is your organization digitized? Have you installed all the latest tech that is introduced into the market? You may have a positive answer to questions like these, but do you know how to have a smart approach towards technology? The primary step is not to purchase every new thing that is launched in the market because your organization might not need it. Secondly, don’t exert too much pressure on the machinery because it will affect its efficiency and life severely. Thirdly, switch off the lights, fans, and air-conditioners when no one is in the office. Similarly, put your computers and laptops to sleep mode when not in use. Practices like these will reduce your electricity bills significantly and will also enhance the life of the appliances. Let’s not forget the ulterior motive behind this, i.e., it is a green-promoting approach. What are we leaving behind for the future generations as our legacy? Hope, we all have an answer to this question that we are proud of.